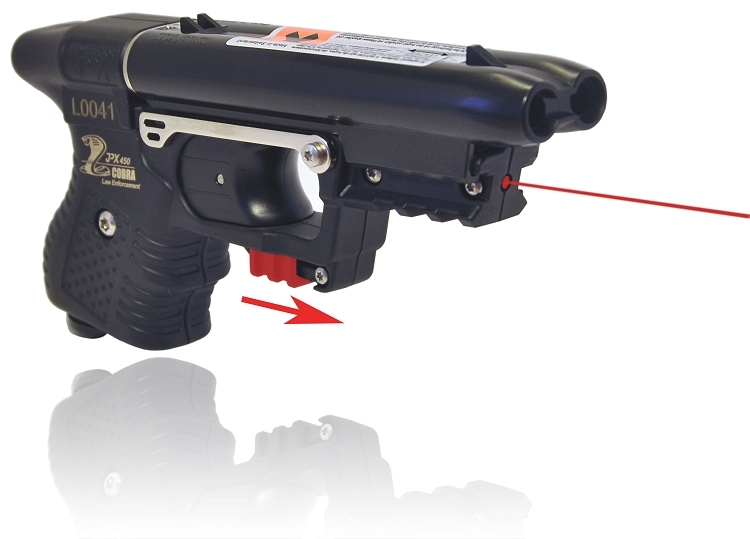 The JPX 2 Shot Pepper Gun is one of the most powerful less lethal defense products on the market today. This gun is a great compact gun I wear it every day seven days a week no matter where I go I was just at the mall yesterday I had a concealed underneath a plain T-shirt I was never given one bothered by it and Contra Costa County I haven't fired it once yet because I haven't picked up a practice rounds but this thing feels good without cartridge easy to squeeze trigger lasersight is very bright. I've had a few people look at it and asked me hey you have a permit to carry that night tell them know you don't need a permit some people do think it's a Taser because of its size but this is a great gun for a buddy that was at yourself protection I'm a contractor that works in the Bay Area and with stories on the news all the time about contractors getting robbed I believe that this is going to definitely help me protect me and my belongings and my family. Having 2 small boys under 5 I felt like we needed some extra protection in our home. The idea of a gun made us alittle nervous bc our boys snoop in everything. This has been a great product. 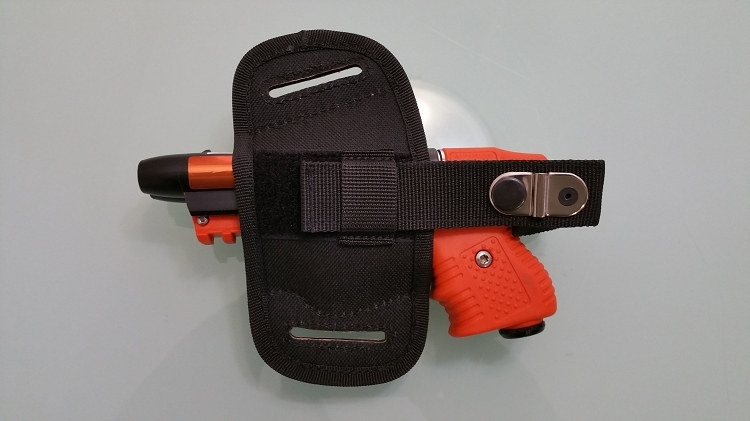 Simple, easy to carry/conceal. 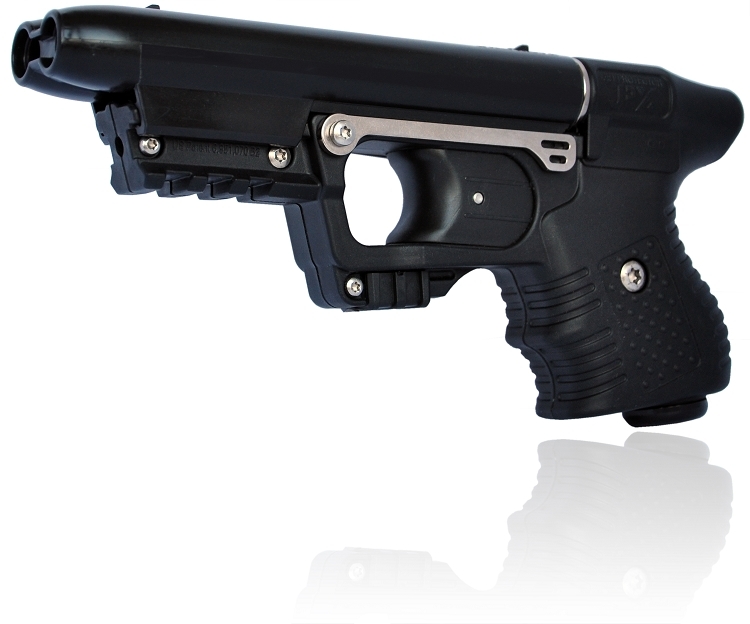 We have shot a few practice rounds and the laser sight is flawless. Definitely feel alot better at home and on road trips w my family having a JPX. That thing is a fantastic tool. I ordered it for my girlfriend. I plan to buy another to keep on my mountain biking fanny pack, as an option to deal with bears. We test shot it at 10 feet and 16. Much better density and pattern at 10. But even with no wind we noted a little pick up of taste, with very mild burning. Potent stuff. I think at less than 10 feet, there's a chance both shooter and target will suffer, hopefully target much more so.